Hi – thanks for all these hacks. I wonder if you have any thoughts about whether it is possible to change the layout grid on the front page, so that there are 3 posts per row rather than 2, with smaller and standardised thumbnails? Thank you. Might it be possible to use the space available now (with the sidebar still there), but change the grid layout for the posts so that 3 can fit where there are currently 2, with smaller featured images and text? This would be really ideal. can u share me the site url where you implemented it? Thanks very much for this. I have updated it and the first row looks perfectly aligned horizonally, but the 3rd image is still lower than the others. But it seems to somehow push the following rows out. The second row starts with a slight indent, which pushes the 3rd image down to the 3rd row. But I must say that the theme looks like it will be even better with 3 images per row. It might be a popular update to be able to customise the number of images on each row of the front page – though I don’t know how much work that would entail…. from custom css (where u paste my code) and from style.css? 1 – If I change the width of .posts .post to 28 (instead of 29), this resolves the horizontal alignment and the 3 columns align perfectly. 3 – The divider has still not returned. If I change the margin and padding to – say – 10 instead of zero, the padding and the divider return, but the padding only returns from the second image, and the divider from the third. Yes – thank you for your support. You could issue it as an update – it really looks good with 3 columns. As for the divider, if I change the last bit of code as below, it comes back, but not for the first image (and the second has the padding but not the divider). It is ALMOST resolved by removing the .post + (I do not know what this refers to but tried it anyway) to leave the following code. This aligns the top row again, BUT pushes this row down, so there is empty space at the top, and a solitary divider above the 3rd image. I am about to leave for Denmark, but will be back on Tuesday, and will pick up any messages again then. Thanks again for your great support – I think you just improved an already great theme. can u provide me the pieces of css together which is used to make the Rowling theme 3 column please? Back now, and here is the code. I have also used the techniques in your post to change the size of the heading text so that it is proportionate to the 3 column display. 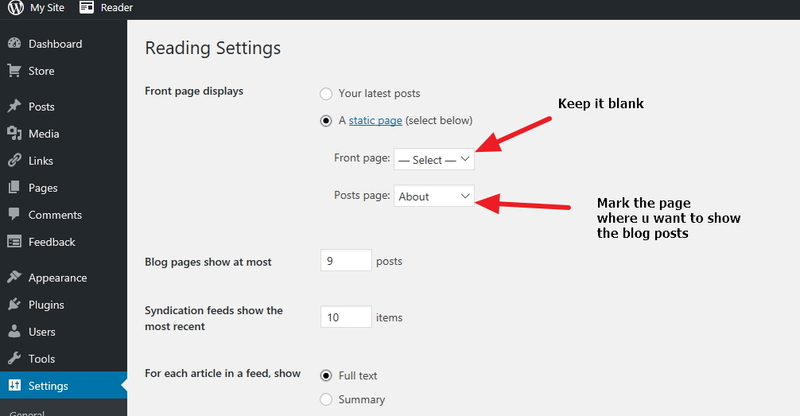 1 – Remove the separator from above the 3rd post heading (which pushes the page content down). I’m guessing there must be some logic somewhere that there are 2 columns and so the 3rd image should have a separator above it. Can this be changed so that the separator starts above the 4th image? 3 – In your Rowling Demo, all of the photos are cropped so that they are the same size, making the whole theme look very neat. However, mine crop to different heights, making it look a bit slapdash. Can it be set to crop to the same height? Rowling is now by far my favourite blog theme (now that it is 3 columns), and these changes would just make it perfect. so you want the 3 column to be mobile responsive..
That would be great if it is possible. It doesn’t necessarily need to be 3 columns on the mobile, but at the moment, there is sometimes only one very thin column down the left side. Also, it would be great to solve the issue of the divider over the 3rd image. Yes, that works perfectly, thank you. Now the theme looks good on all devices!!! Getting better and better. No – just the one on the top row. There are dividers above all of the images on the front page to separate the rows from each other. It looks good. But they start on the third image – the first 2 do not have them because they were intended to be on the top row. When it was a 2-columns, this worked exactly as it should, but now that it is a 3 column display, there should be no divider over the 3rd image either. Now the dividers over the images should start on the 4th image. You’ve done it again!! It has gone now. Thank you. The only other one was about standardising the size of the featured images on the front page. Perfect. It works and now looks great again. Yes, please share the css to resize them. Is this the same css you used on your sample site where the images were all identically sized and looked great? I guess it is just a question of adding something simple to the CSS to make it apply to these pages too? Thank you. It works to bring the top row (and the second row) into line, but the dividing line is still over the top row, but not over later rows…. Great – this sorts it out. Thank you again!!! Perfect. I set it to 250×115, as many of the photos had been cropped to that size anyway. Only only was distorted, so I cropped it to that ratio and it now appears perfectly. Thank you – we now have a perfect Rowling theme!!!! I hope others can appreciate it too. 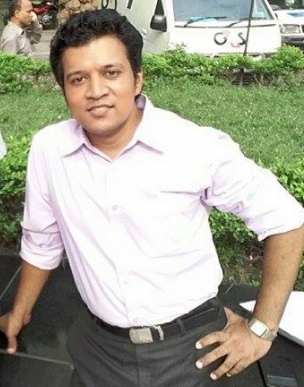 sorry for the late response…facing some family issue ..
Great – thank you. Works fine!! Had missed this message until today – sorry. Thank you – this works great. Found the elements using Google Developer but challenged in the specific naming convention in applying the CSS customization. “– the author comment/live search link on ALL individual posts” ? The second request is the author v-card/comment box that is located at the bottom of every post in this Rowling theme. I have turned off all comments yet every post has a ‘dialogue box’ from the post author (me) including a live link on author’s name to search for all posts by author which in this site is every post and unwanted. To sum; Wish to have neither the comment box and author name display on any/every post. One related item; when I added the CSS to turn off the featured image on each post, the ‘related posts’ at bottom of post is also gone. Actually scratch that last post re ‘Related Content’ as the lack of display was due to no content related to a particular post and not the case when I looked at 4 or 5 others. I would like to move this from the bottom of the post to the display vertically on the left side of the post next to the body of the post. To remove the featured image at the top of single post in rowling theme use this code…. ***** this code is not or will not hamper the “Related” posts at the bottom. Ha! – upon a deeper review of posts in multiple categories, the related content is now not being displayed. Ideally want the related content displayed vertically next to body of post as mentioned above. Sorry about the confusion but needed to refresh the site opened in a different tab to view post display with most recent changes. and it seems like the related posts display is category specific as it displays in some and not others – site has 16 categories. sorry about confusion but lots of content in the site and there are at least 3 categories that do not display the related content while at least 6 do. Strange…. Not sure if the site just needed more time to completely refresh but now within all of the categories, all posts display the related content posts on the bottom of the post. Still interested in move up to left side and have the related content vertically display on the left side of post body. and post-author is no longer displayed. Seems the ‘important’ component was the missing secret sauce from my earlier tries. Just cannot figure out how to move to vertical side and make changes to template. If that is beyond the goals of your support, I completely understand. actually i can help u for that..but that is paid help which i can do to u ( for that issue)..
OK – as a near term work around can I align post-inner to the left border so the white space is no longer there. actually if i use css to make the homepage images same height than it would not be a good idea…. *** which one u r referring? header image or title? I figured out that Rowling is best with a 2:1 image ratio and I could either select images in that ratio or edit the images in the featured image media file. Going to keep the post title left aligned. The one outstanding current issue is the space allotted to the right widget when viewed on desktop. Seems like too much blank space, not sure if the body can be narrowed to eliminate that spacing. Hello, I have just added a few more pages to my site. How do I get these pages and their links to also appear on the navigation bar? Sorry, I am very new to this. Thanks! I have figured it out – there is no need to address this question, thanks. Is it possible to hide the author, published by at the bottom of posts? would u mind to share me the site url where you want to do the change please? Is there a way to display an ad on the right side of the header, next to the site name? i need to check your dashboard, and for this i need login details..would u mind to contact me in my fiverr address please? I cant figure out how to use my own header with this theme. or if I can just make the logo appear bigger. it just comes out looking pixelated. ideally I would like to use my own image header with this theme. is there a code for this? what size you prefer for your logo? hey! i ended up getting so frustrated i just changed my entire theme. the logo size i would prefer is 800 x 384 but it seems the theme restricts the logo to 80 pixel height. i had found a code to resize but it left my logo looking incredibly pixelated, if you could fix this with a code for me i would love this theme. u solved the issue by changing theme? or u need help for logo? i need to check your dashboard..
Hi – could you let me know whether it is possible to cap the number of posts that appear on the homepage, i.e. to limit how far down people can scroll? Thank you. you can show any number of posts in homepage or blog page..
Hi there – thank you so much for your reply. Unfortunately, however, I cannot seem to see an option called ‘Reading’ under my settings. My headings are ‘General – Writing – Discussions – Analytics – SEO – Import – Export. Could you help me to find the ‘Reading’ section? are u using wordpress.com free hosted site? Yes, I think I must be! Can u share me screenshot of ur Settings section please? Sure, how should I do that? Hi again, I have the screenshot, I meant how should I send it to you? Cheers. Hello, how can I change the sidebar? My sidebar consists of a search form, recent posts, categories and an archive. But if I go to widgets, I do not see these elements at the sidebar option. My website is http://www.mamalifestyleblog.nl. I hope you can help me. i think those widgets are showing by default.. This page is very helpful for me to solve my rowling theme problems so thank you very much indeed! -May I ask how can I pull the tumbnail images of RSS contents for my sidebar in the homepage? (medyaroportaj.com) I could pull the RSS text contents, but couldnt pull the images. -Secondly, I have a few category titles. One of is empty now, no contents and I would like to display just an RSS content of another website in that category title. How can I do it? in wordpress.com which plan you are using? to show RSS Feed, are you using any third party plugins? Not quite sure. I mean i didn’t buy anything, just added that RSS from “widgets” for sidebar in WordPress menu. Thank you, i did search some of them but always meet RSS plugin solutions for ourselves websites to other websites. Not from other websites from mine. So do you have any suggestion for plugin? You had asked my wordpress package, it is premium not business, i had said it wrong. pardon me. So as you suggested to me “the featured images in Rss” plugins. It needed to be passed to business plan. Do you have any other suggestion? And how can I delete the name Anders Noren from the footer? Thans a lot for tour help! I have 0 knowledge in coding. My problem is I misspeled a Category in Rowling theme (russia instead of Russia) and I can’t change it… how to remove or correct a Category spelling? remove that category and create a new category using the correct spelling…and assign the posts again to that correctly spelled category? that’s the problem… I don’t know how to remove it..
you should be able to do it from Dashboard > Posts > Categories section? The hardest thing was to get into dashboard but I succeeded… thank you very much!!! Is it possible to enlarge the Logo on the top right? I tried this but the result was that the logo was larger but the quality had diminished and was very blurred. Is there any way to increase the size and keep the quality? the logo u used “Europe United” is 80×80 in size.. The problem is though that I used a new logo which is 7070x 5000 but it was still blurred when I tried to enlarge it using the formula I mentioned above. actually it would better if u contact me to my fiverr profile…i may need to check the dashboard..
are u using wordpress.com free site? allaboutbasics, I have tried severally to change my header background color with the code you provided above without success. Pls, is there any thing you could suggest to make this achievable for me? Thanks..
in which site you are working? Thanks allaboutbasic..it didn’t work. Any other suggestions? Where you put the code? In my theme’s CSS under Header section. Thanks for your time. i have checked your issue, as you are using wordpress.com free hosted site…so.. it is tough to implement your issue properly..
1. Do you think I should go for the paid premium options of the same theme? 2. Can I easily move the content I have built to wordpress.org? 3. If the above two are not to be wise options, could you please show me how to reflect a blog post I create in homepage to reflect on other pages? Perhaps that would be a very effective solution. Is it possible to make the top social icons on the top right of the home page any bigger? would u mind to share me the site url where u want to do the change? the theme is not totally responsive, especially on smartphones, because the secondary menu at the top of the page is not visible. how to solve this? one thing can be done…. Thanks, but this not fixed my problem, because I need both, the primary and the second menu. in mobile…all your primary and secondary menu items will be visible in same menu..u got the point? Yes, I understand. But the menus have a diferent importance and it’s interessant tha they don’t appear in same localization. I see… but if u have two menu burger symbol in mobile site..will that look good? If it is not possible I prefer to change the theme to one that the 3 menus are visible. 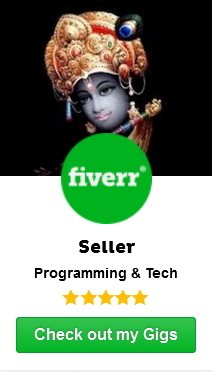 would u mind to contact me in my fiverr profile please? how to remove the sidebar or change its color? I am having problems with the navigation on smaller devices like tablets, smartphones. Apart from that, it would be great if the theme could only show 1st-level items at the beginning and 2nd-level itmes only, if the relevant 1st level item is selected. Maybe, you have a solution for that? have you checked wp responsive menu pluigns ? Any possible way to add an image as the header to this theme? i found you have done this already? I was able to add an image as the header to the Rowlings theme but it is too big, some of the image is hidden, and does not look good on mobile devices. If possible, I would like to reduce the image to about 1/3 its size so it is all visible and have it look better on mobile devices. Hi There! Is there any way to change the margins in the theme so my posts show closer to the left side of the page? The theme seems to have it set to have a lot of space between the left side of the page and where the post starts. That worked perfectly! Thank you so much! you want to change the sky blue color of the drop down menus? Yes. Change the blue color of the drop downs and make so that there isn’t a lot of empty coral color space on the right side of the category menu. so you want your top menus to spread more….i mean… the gap between between top menus to increase…right? Ok. Yes, that’s exactly right. If I could spread them out more. Then when I add more categories, I can adjust it according. Thank you again for all you help! Unfortunately that didn’t work. There was no change. Also got an error on the % within the code. Hi! I want to change the site-title font type, but I don’t know where do I have to paste the code you wrote 😦 Can you help me? Thanks a lot!! How can i change the color of the template “white” area left from the .Content area? I would like to change the color of this to black (or something else). I manage to get the .content in the middle to black by using the following code. would u mind to share me your site url where you are working on please? Hi, Can I get rid of the problem below??? I really love to use Rowling & don’t want to change it. So please let me know how can I fix that error. are you not using wordpress default editor? Thanks for this article! Is it possible to include an excerpt below post titles when not using featured images? 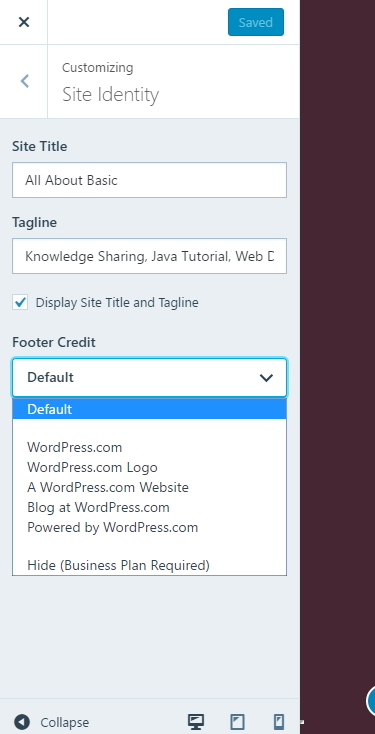 It seems that nothing happens when using excerpt from WordPress options. are you using wordpress.com or your own hosting? Hi, would you be able to help me with my footnotes and endnotes on my website: jewishbelief.org , i want to make them clickable. The posts already up already have that feature because they are imported from another site, but new posts on this web won’t have clickable footnotes. The plugins for this feature don’t seem to work. Thank You!!! Thank you for getting back. I would like to make that when a footnote is clicked, it will show the footnote without having the need to scroll to the bottom. So I got a plugin called inline footnotes which does that job. However, it only does that with footnotes made manually with the special html code they give. The problem is that my footnotes aren’t done manually rather are copy pasted from microsoft word. It’ll be an almost impossible job to mannualy reformat every single footnote. Is there a way to get the plugin inline footnotes to recognize a footnote pasted from Word? Thank you! sorry…would you mind to tell what you are referring as footnote? when i visited your site https://jewishbelief.org/, i found the blog posts are showing with Image, Category link an title? If you click on a article, you will find noticable blue numbers. Those are the footnotes I’m refering to. Hi, first off all thank you so much for all, i learned a lot from your site. On my blog jewishbelief.org there’s a noticeable small line under each post’s name on the homepage. Is there a way to get rid of that odd looking small line? Worked like a pro! Thank you!! !